Las Sendas is a master planned community nestled up to the Usuary Mountains in East Mesa, AZ. 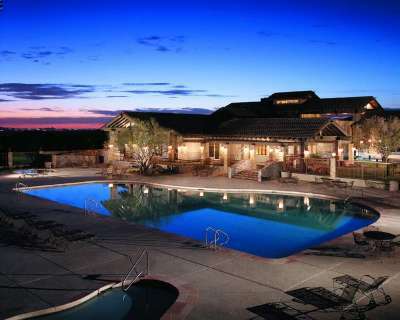 Las Sendas is located minutes from Saguaro Lake, Usuary Mountain Regional Park and the Salt River. Saguaro Lake is approximately an 1100 sqft lake with a maximum depth of 116 feet. Whether you want to go boating, water ski, jet ski or fish, Saguaro Lake is a great place to be. The Arizona Game and Fish stock Saguaro Lake and you can fish for Rainbow Trout, Largemouth Bass, Small mouth Bass, Yellow Bass, Crappie, Sunfish, Channel Catfish and Walleye. The Salt River provides many outdoor activities including fishing and river tubing. The Usuary Mountain Regional Park provides for activities that include: hiking, biking, archery, camping and horseback riding. For additional information about the Usuary Mountain Regional Park click HERE. Las Sendas also provides easy access to Sky Harbor Airport, Arizona State University and many other areas in the Greater Metropolitan area of Phoenix. Las Sendas has a community elementary school which is highly rated. Information about Las Sendas Elementary School can be found HERE. Call American Realty Brokers for additional information about Las Sendas or homes that are for sale in Las Sendas.